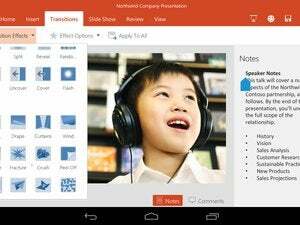 Microsoft has always marketed its Office apps as a suite of productivity applications. Now, it appears that Samsung has seen the light as well. A report out of the Mobile World Congress in Barcelona says that Samsung is planning to bundle its Office apps—PowerPoint, Word, Excel, and OneNote—into the secured container of Android apps knows as Samsung KNOX. 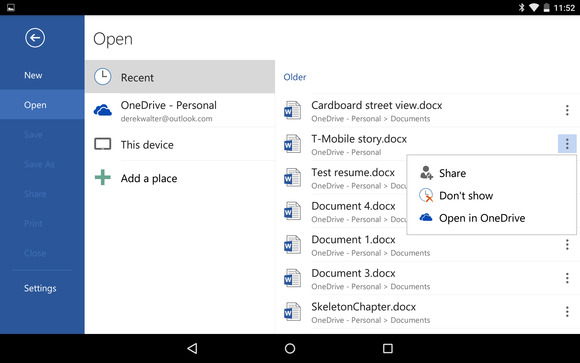 OneDrive (presumably the for-Business variant) will also be included, the report from The Register said. The site quoted Injong Rhee, the senior vice president of the KNOX business group at Samsung, claiming that a formal announcement was due in a week or so. In February, Microsoft and Samsung settled their legal differences, covering the royalties that Samsung owed Microsoft in exchange for using patented technology that Microsoft says the Android OS infringes upon. Samsung reportedly was paying about $1 billion per year to Microsoft for the rights to ship Android phones and tablets. It’s unclear whether that settlement merely opened up the lines of communication between the two companies, or whether the Office provisions were part of the deal. Note that Rhee specifically mentioned Office 365, however. The Register also notes that Microsoft apparently has no plans to bring Office 365 to Android for Work—or, more likely, that Google won’t allow it. Still, score one for Office 365. Securing an insider deal with Samsung is still a coup, even if Samsung itself is feeling pinched. At press time, representatives from Microsoft could not be reached to confirm or deny the deal. Why this matters: Microsoft has said previously that it plans to bring its services to as many platforms as possible to tacitly encourage users to migrate back to Windows. This not only gives Microsoft a foothold in one of the most powerful smartphone makers in the world, but also encourages KNOX users to lobby for Office 365 support in Android for Work. Updated at 3:14 PM with comments from Samsung.